A very long time ago I had these random dresser drawers lying around & I made some dog beds out of them. Well, my dogs are such little clingers that they didn’t want to lay in the dogs beds, they only sleep with us & sit with us wherever we are sitting. Well, fine then! I guess they didn’t like my generous DIY gift to them. I’m hurt. I joke! I simply just made something else out of the drawers. 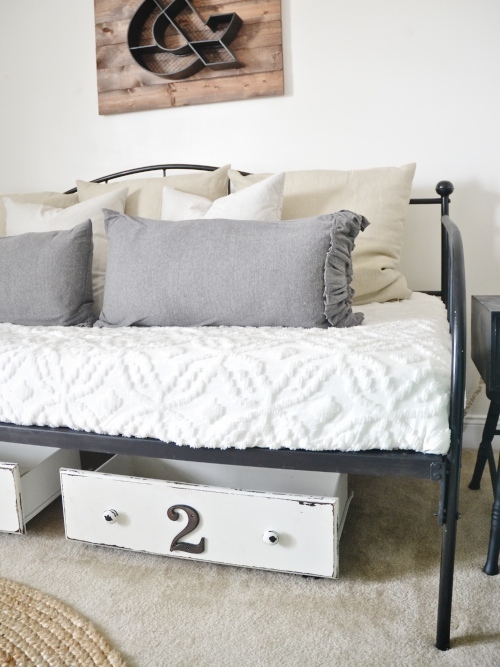 I wanted to make some DIY under the bed storage for our front guest bedroom & it was seriously the most simple project ever. I first painted the drawers & distressed them for an antique look. I added an address metal number to the front for some added decoration. 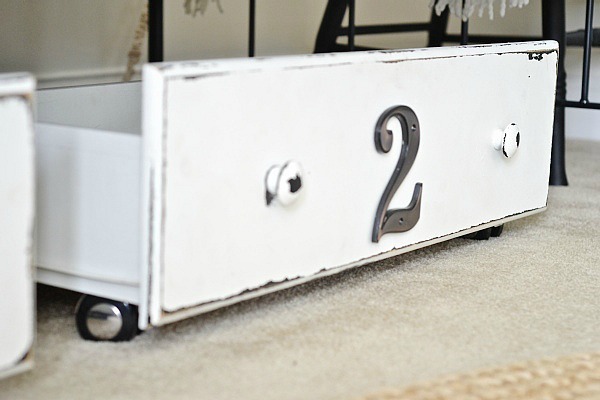 After that I added some wheels to the bottom of the drawers in all 4 corners for easy access & so that they would roll with ease across the floor. 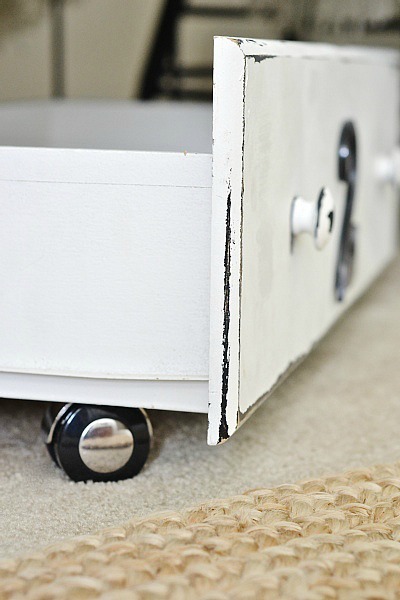 You do not have to add the wheels to have the under bed organization, it’s just a nice added detail. You can purchase wheels at a hardware store or a local tractor supply store. Moral of the story? 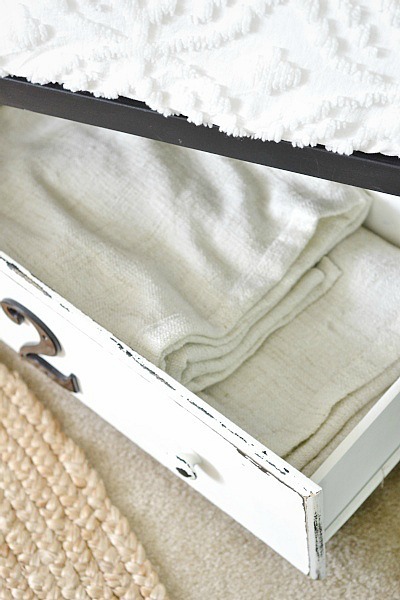 Save those drawers you see discarded, or if a dresser is trashed, take the drawers out to use them. 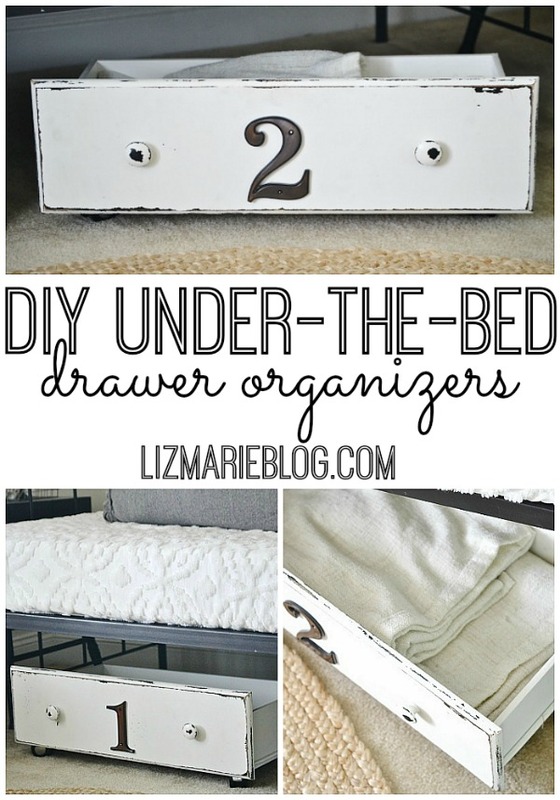 What do you think of the under-the-bed drawer organizers? 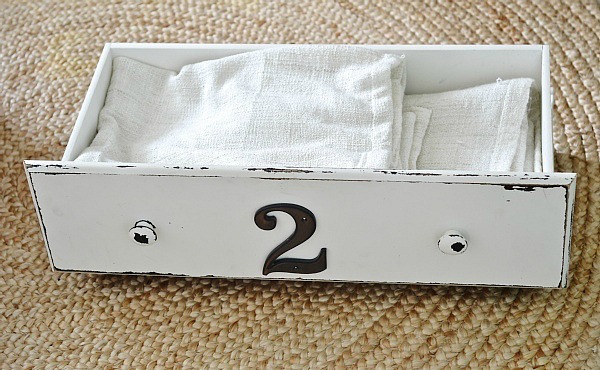 We store different things in ours from time to time like blankets, craft supplies, & more. 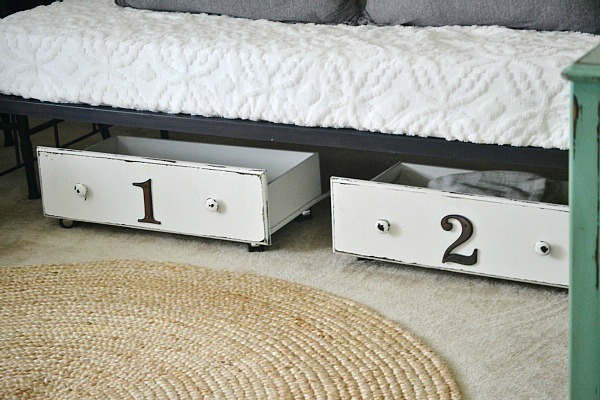 These would be great for any room in the home to store things from shoes, clothes, blankets, craft supplies, toys, & so much more. Let me know what you think of the organizers in the comments below, find me on Facebook, & chat with me on Instagram. y de igual forma de baja calidad.